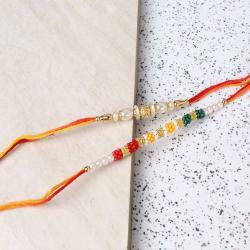 Product Consists: Duet Simple yet Sweet Design Rakhi Set nicely tied on a Designer Card. It is your rightful duty to make your brother feel very special and make him realize how important he is for you. 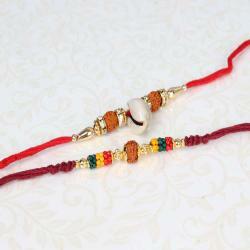 You can choose exclusive rakhis through Giftacrossindia.com. 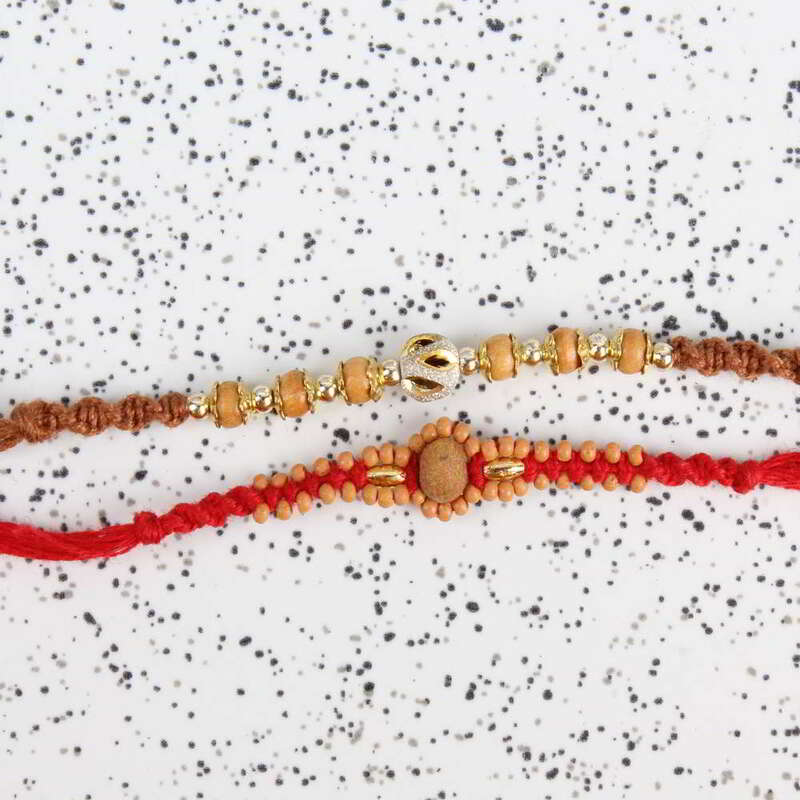 All the gestures that you want to show to your brother can be expressed by presenting these lovely two rakhis. 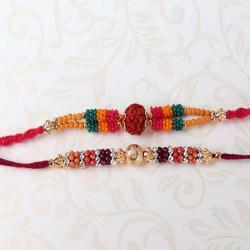 Both rakhi looks perfect on brothers wrist. 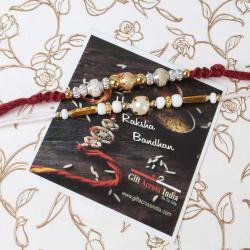 Rakhi is the festival of special love sharing between brothers and sisters in a very special way. Brother will find this Rakhi gift pack really endearing indeed. 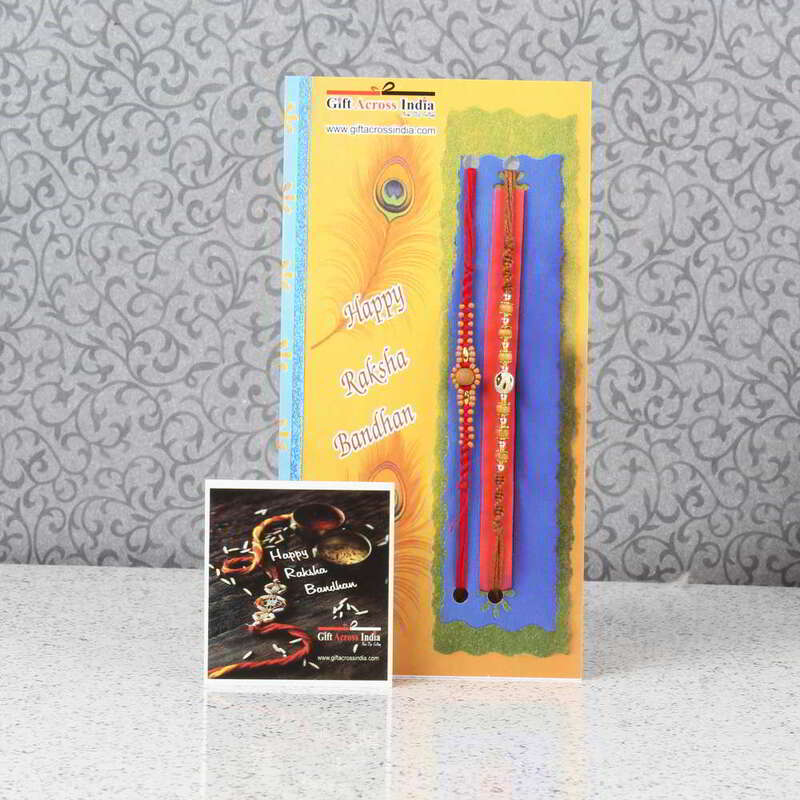 Product Includes: Duet Simple yet Sweet Design Rakhi Set nicely tied on a Designer Card.